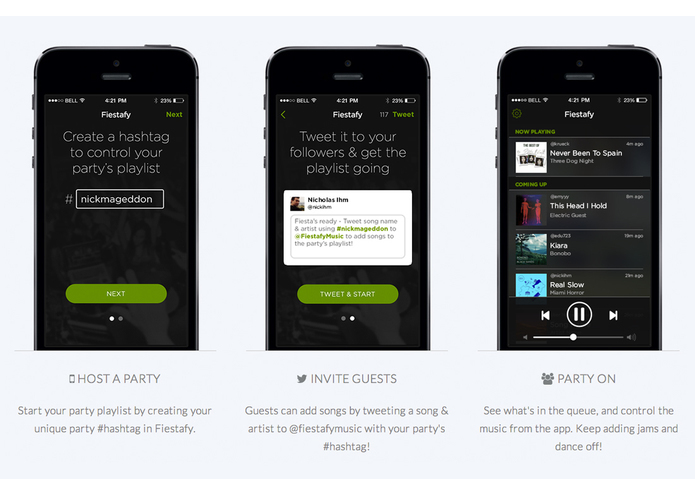 Here's how it works - you're hosting a party. You have some jams, but let's not be responsible for setting the mood the entire time. 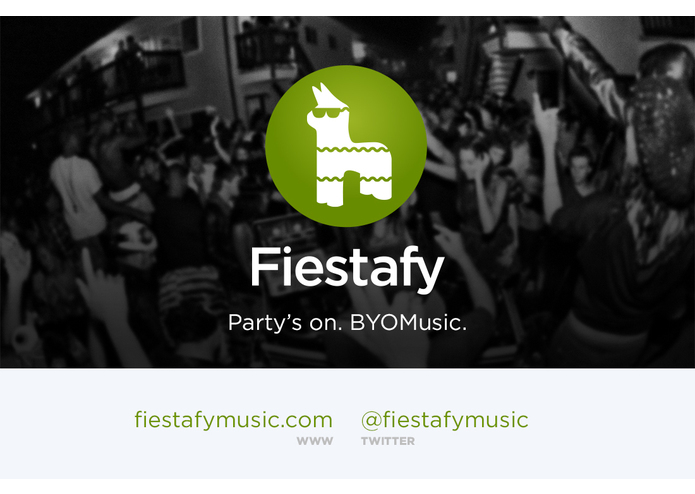 Let your guests at to the playlist queue by tweeting an artist and song name to your party playlist that you've set up on the Fiestafy app!